On occasion, bank feeds encounter errors that are beyond our control. This is not commonplace, but unfortunately, they do happen. This is why PocketSmith has a dedicated team to diagnose and address these issues 😇 EnableMe also have a great support team on board to diagnose too! In many cases, the errors are temporary, but persistent errors do sometimes occur and require investigation by our bank feed provider, Yodlee. Who to contact for help - PocketSmith or enableMe? The bank feeds are generally stable and reliable, however, our bank feed provider ( Yodlee) supports a vast number of institutions globally, and there may be connectivity issues from time to time. Many of these are temporary, but some require investigation in order to resolve their root. 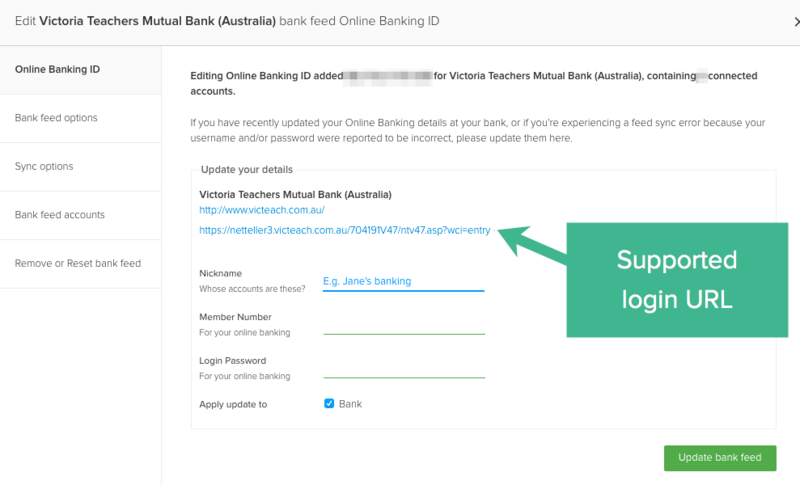 If this doesn't work, get in touch with PocketSmith support and attach a screenshot showing the account listing from your online banking website. This bank feed is still in development by our bank feed provider. When constructing a new bank feed, it is put through a beta test stage, during which you will probably not be able to make a successful connection. Errors of this variety generally mean that the banking credentials have been entered incorrectly. Enter your credentials again very carefully, making sure you have included all the correct capitalizations, special characters, etc. Occasionally, the browser may try to auto-fill the information, or a password vault application (e.g. 1Password or LastPass) will interfere, so disable these while on PocketSmith if possible. If you are still experiencing a 402 error, even after all the above checks, please get in touch with enableMe's support team on [email protected] or with PocketSmith directly. If there are still errors, please get in touch with enableMe's support team on [email protected] or with PocketSmith directly. If you're still seeing an error, please get in touch with enableMe's support team on [email protected] or with PocketSmith directly. If you still see a 508 error after this, please get in touch with enableMe's support team on [email protected] or with PocketSmith directly. After you have contacted PocketSmith support, we ask you to leave the affected bank feeds as they are so that we can investigate the problem. Both PocketSmith and enableMe have support teams available to help you! However, due to enableMe PocketSmith accounts being slightly different from regular PocketSmith accounts, some queries relating to enableMe specific features are best directed to enableMe on [email protected]. For bank feed issues in particular, most questions can be directed to either team! However, some issues can only be handled by PocketSmith. If you encounter an error like this but have contacted enableMe, they'll be able to refer you on to us. If you'd like to learn more about the differences between an enableMe PocketSmith account and a regular PocketSmith account, check out: EnableMe clients - A PocketSmith guide.